To help yourself achieve wellness and improve your daily health you can now print a copy of our Healthy Living Checklist, fill it in with your goals and stick it on your fridge door! No one becomes healthy by wishing, making excuses, or deeming themselves unworthy. You can choose to be healthy one day at a time. Just choose simple, achievable, affordable goals at first. 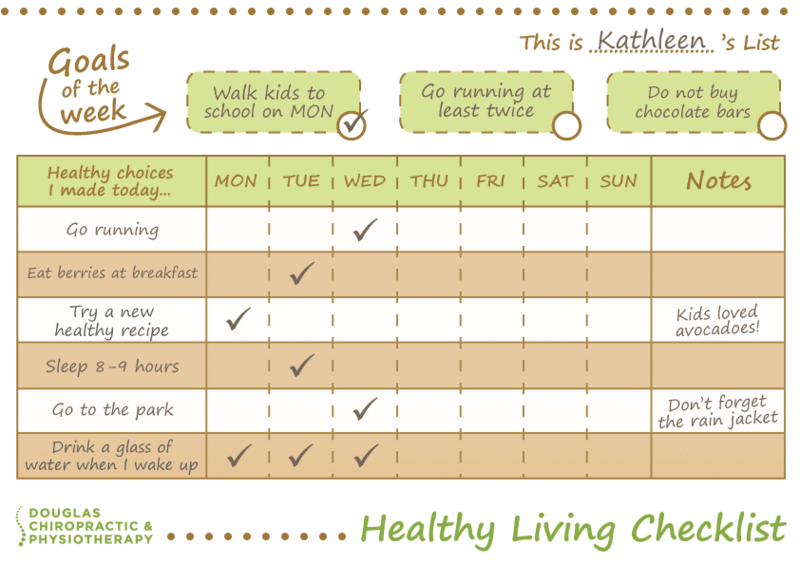 You can also fill in the checklist together with your family, setting shared goals for a collective wellness! Here are some ideas for daily steps towards a healthy lifestyle… the options are endless!